Bo Eason has realized “impossible” dreams more than once, and he’s got the formula for all of us to do so, too. When Bo Eason takes on a new craft or discipline, he doesn’t just learn how to do it — he masters it. Eason is a former NFL football player turned Broadway playwright turned global speaker, who now coaches others on how to achieve that same level of mastery in their lives. Financial advisors, artists, athletes, fitness trainers, C-suite execs, techies and more, all turn to him when they’re looking to accelerate their performance. Eason listened. When no college recruited him, he showed up at the University of California, Davis, and played his way onto the team — literally. He switched places with another player, without his coaches knowing, so he could get on the field and show them what he could do. Years of grinding were rewarded when the Houston Oilers drafted him in 1984. During his five-year career, he played against and beside some of the greatest athletes to ever play the game before a knee injury ended his run. 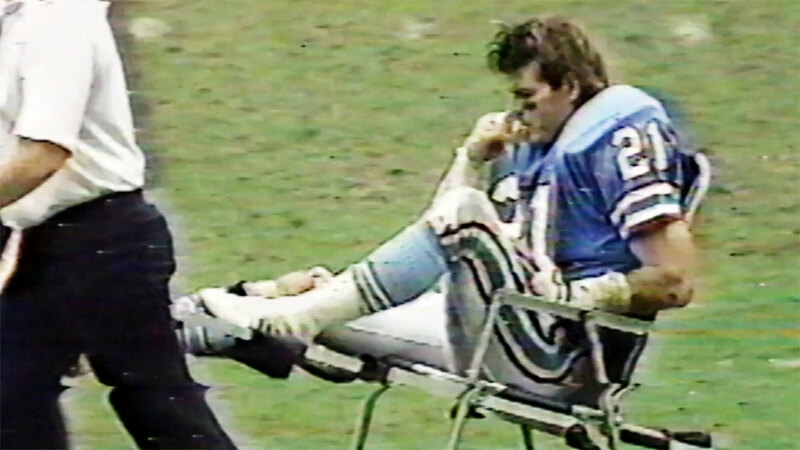 “As I was being wheeled off the field, I remember looking up in the crowd. We were in Miami, and I was just thinking, ‘What am I going to do now?’” Eason says. Professionally trained to “knock people over,” Eason recognized that his highly honed physical skills and preparation had little application in the civilian world. He knew he had to find another outlet that would let him express all that “TNT” he felt inside his body. So, he moved to New York City and put it on stage. “I channeled it into being the best stage performer of our time, and that was the new 20-year-plan,” Eason says. Fifteen years later — with a little advice from mentor Al Pacino — he found success, starring in a play he wrote and produced called “Runt of the Litter.” He has since used his unique blend of stage work, physical training and intense preparation to help coach others on how to communicate for maximum impact and fulfill their dreams. 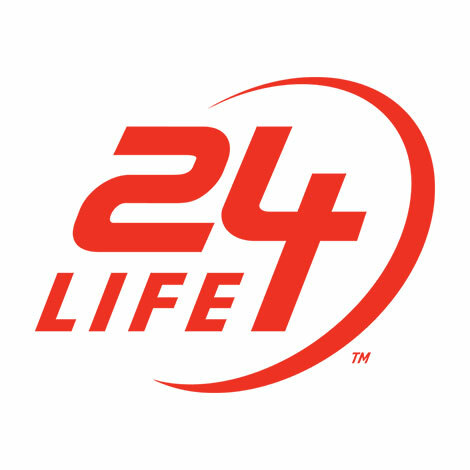 24Life spoke to Eason about his journey and the tools he uses regularly to help himself, his clients and his family achieve what seems impossible. “He saw something in me, and he saw something in my brother [former NFL QB Tony Eason] and my four sisters that we couldn’t see for ourselves. He saw that we were the best and we didn’t believe him. But slowly, year after year after year, we lived into what he saw in us. “Timelines destroy almost every dream. Because everyone goes, ‘Well, I have this dream of becoming the best [football] safety in the whole world, but I’m going to give it two years and if it doesn’t work out in those two years then that dream’s over.’ And I can guarantee you that that dream is not working out in two years. Eason adds, “Basically, they come true if you get rid of your timelines and you have a clear vision of what you want, and of that thing coming true.” You have to be willing to do the work, day in and day out, whether you feel like it or not. Eason acknowledges that he’s quit plenty of times: “Quitting is part of the process. You just don’t do it for very long. You have to keep getting back up on the horse. That’s really the key to keeping these dreams alive.” So, if you need to quit, quit for the hour, or the day, and then tomorrow begin again. Too often, Eason says, we make decisions to give up on a dream based solely on the daily ups and downs of our emotions. Most important, he says, is knowing that you outworked everyone else to reach your goal. That’s one of his family’s mottos. Part of being mentally prepared to live your dreams is eliminating distractions, Eason says. He and nine-year-old Axel work for several hours a day on training, drills and practice, shutting out ESPN and other sports programming. “I don’t want him listening to reservations about anybody achieving anything. The media as a whole is out to prove what you can’t do, what you can’t achieve. And they’ll give you statistics and scientific studies to prove that you can’t do it. Eason is usually up at 6 a.m., and when he’s not traveling, he drinks a tumbler of water, makes some Bullet Proof coffee and does some morning exercise with his children. When the kids leave for school around 8 a.m., Eason prepares some scrambled eggs and sprouted toast and gets to work, preparing for upcoming speeches and training sessions by writing, rehearsing and developing new concepts. Once the kids are out of school, there are basketball and football practices, or dance classes for his daughters Eloise and Lyla, before homework begins and the family sits down to dinner together. “We usually put the kids to bed at 7:30 or 8 and go over their 20-year plans that are hung up over their beds,” he says. “We pump fists and hit the pictures they have drawn of who they want to be,” Eason says. He and his wife Dawn are in bed by 9, talking about their day, family and clients. Ensuring he gets enough rest is part of the plan, as is eating right and taking supplements to help his once-battered body and brain stay on track. Eason, known for his physicality and presence, has a trick for developing greater ease in the body, and it starts from the feet up. He begins his work day with a ritual called the Sacred Six that he teaches all of his students. The ritual begins with a grounding and embodiment practice. He begins by taking a moment to slip off his shoes and stand on a couple of heavy stones, to become more present, aware and grounded. “It starts to open up the foot. Our feet naturally are supposed to splay; they’re supposed to open to the earth, and that’s what gives us that power and energy,” Eason says. “Get them on the floor and spread out and safe so the upper body can come out to play. Start to do that. See what happens. “You’re just being ultra-present, just like a predator, because your feet and your paws are into the ground and you have a great relationship with it. Try it,” he urges.